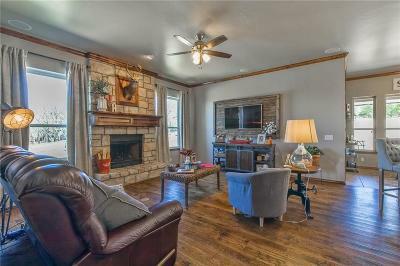 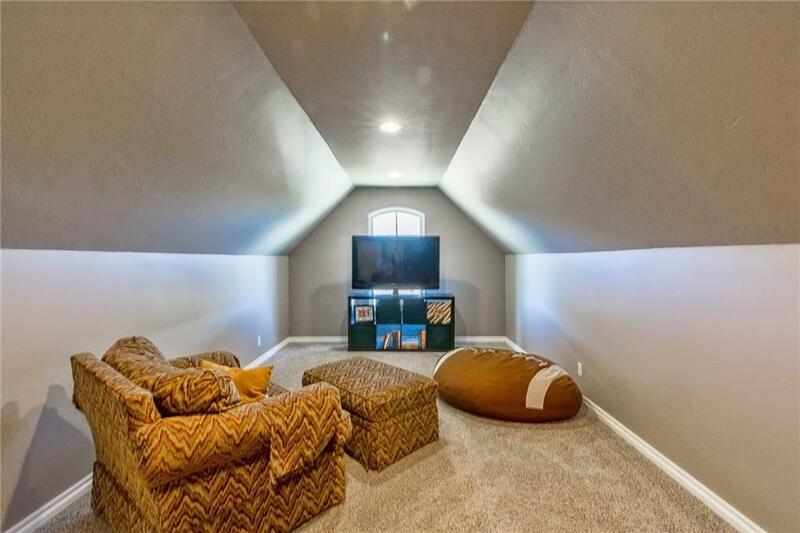 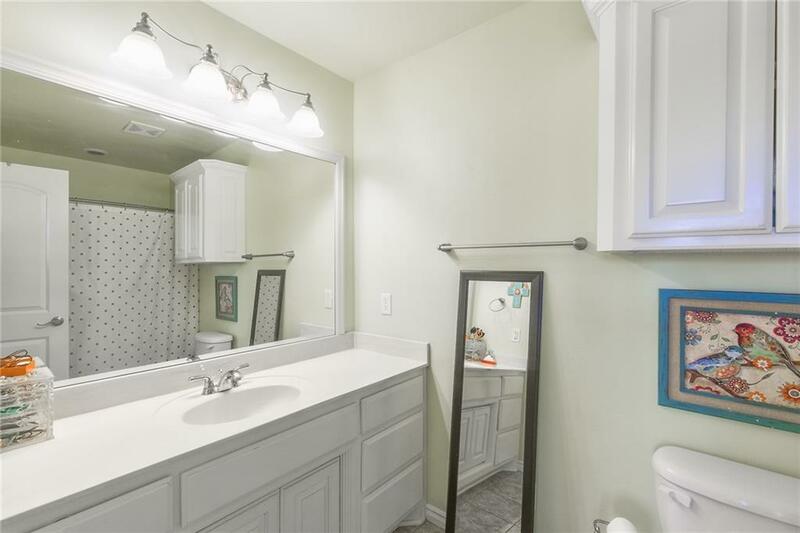 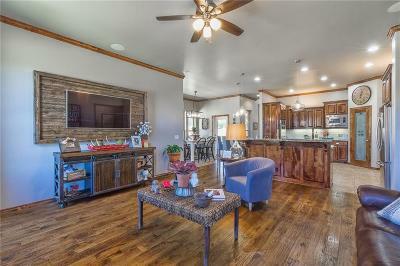 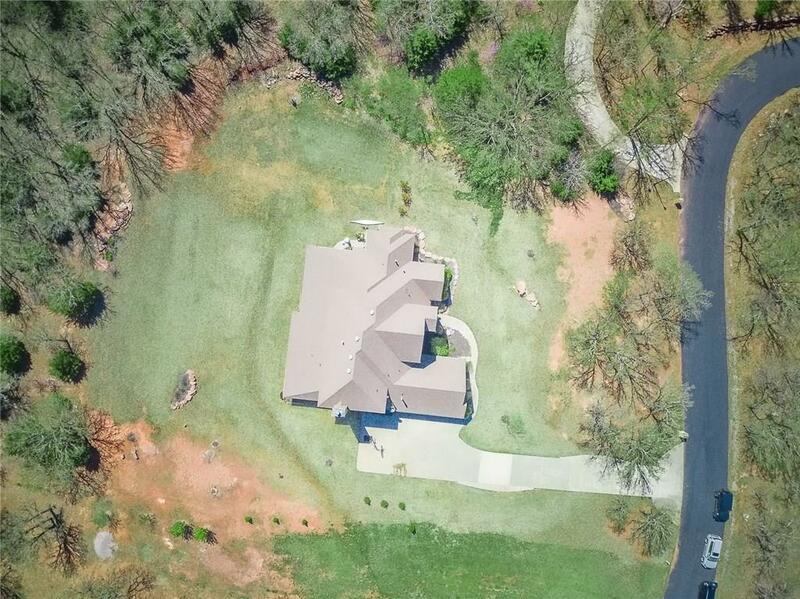 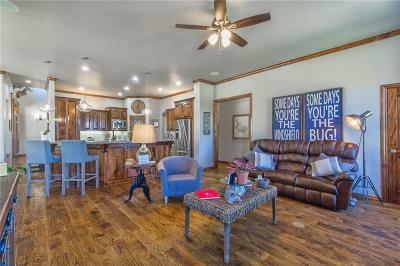 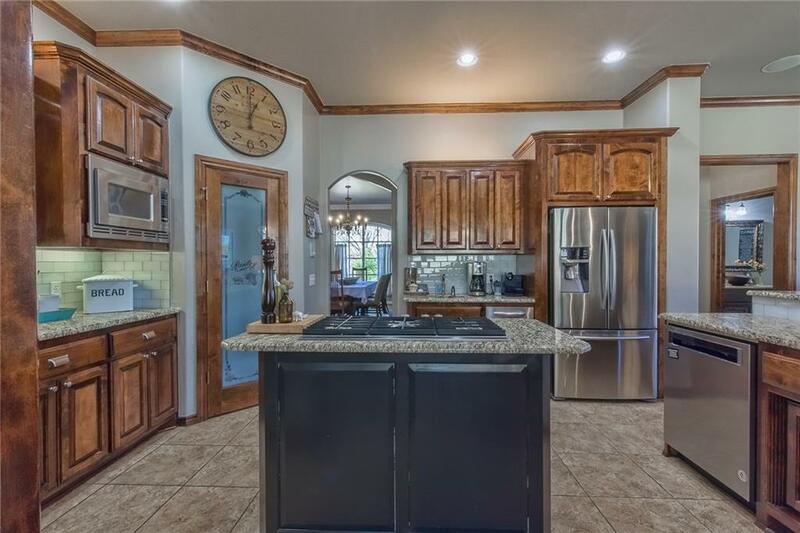 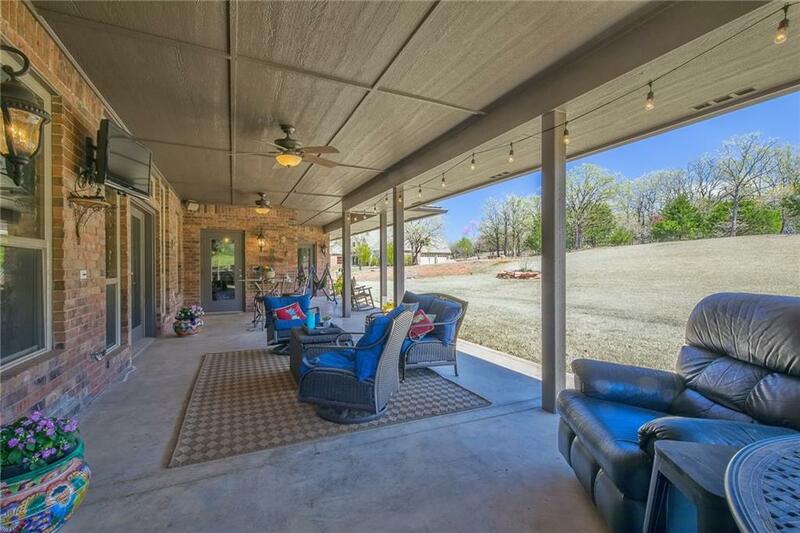 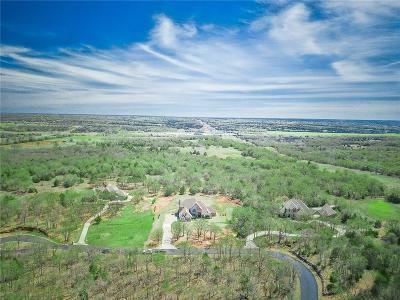 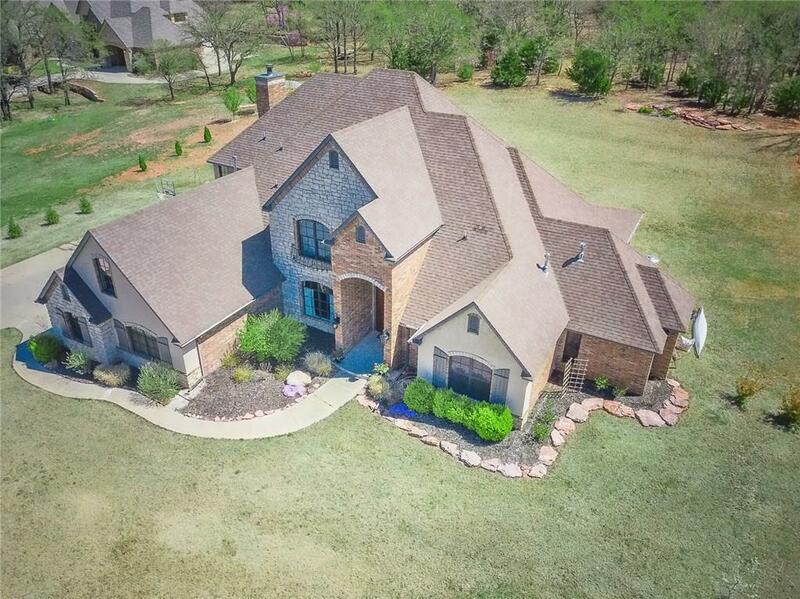 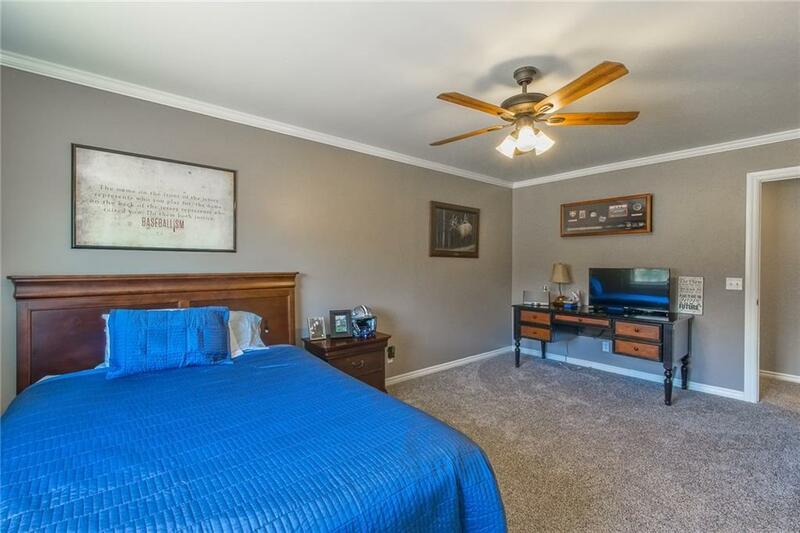 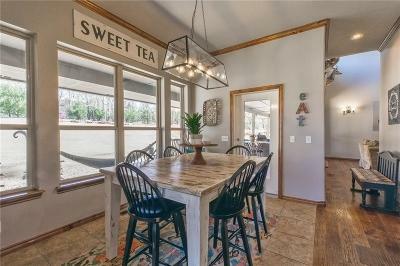 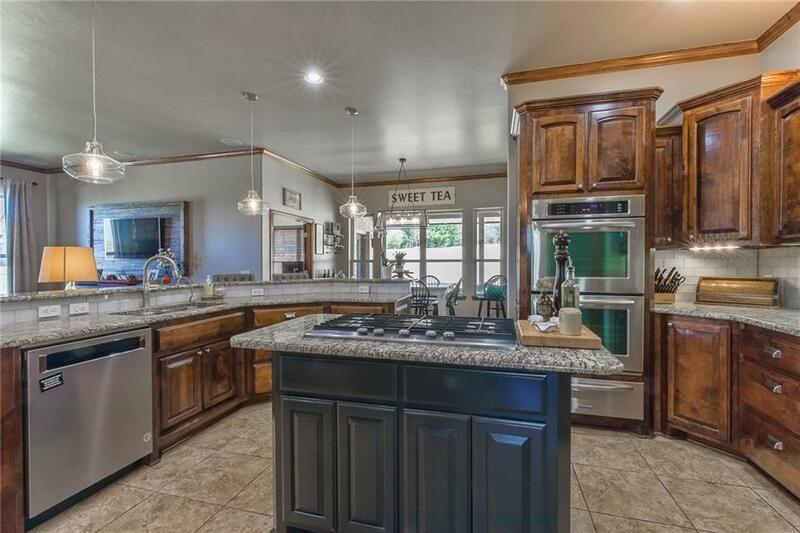 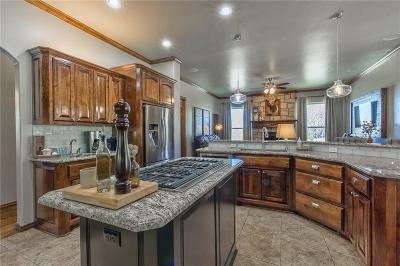 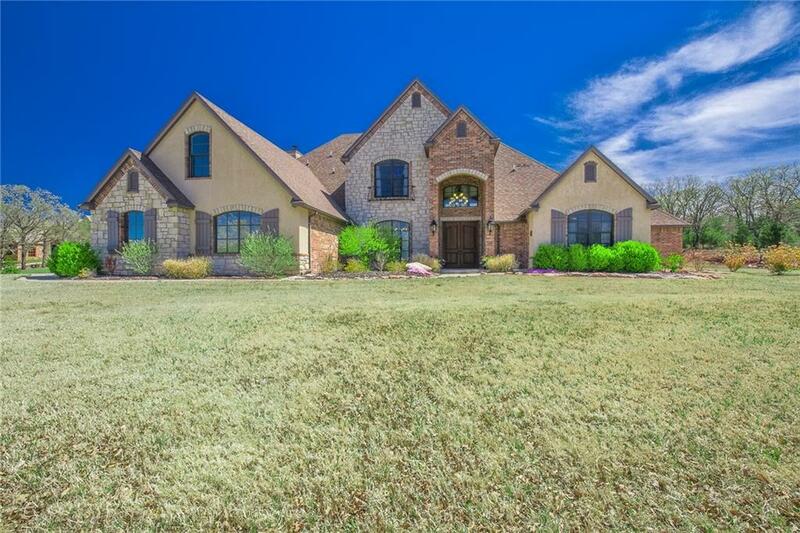 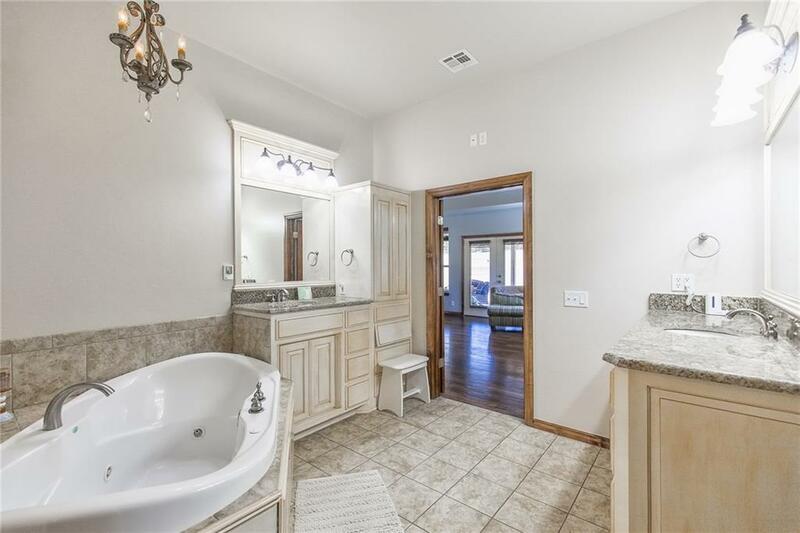 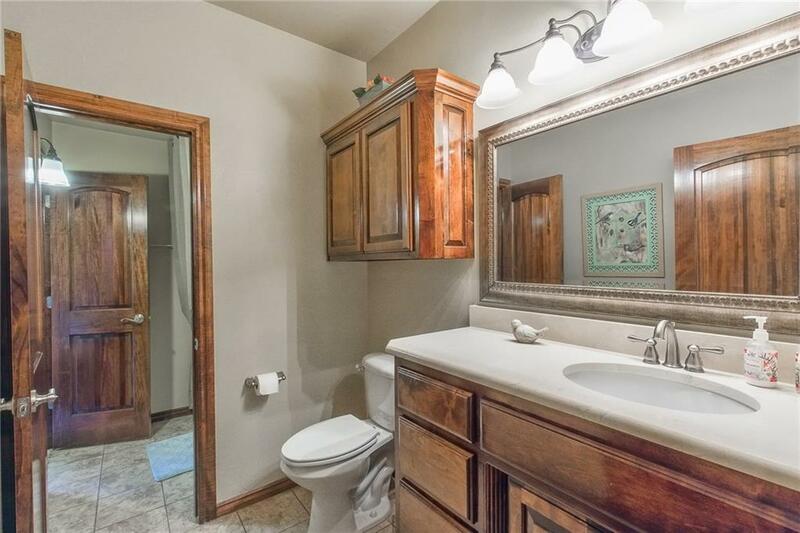 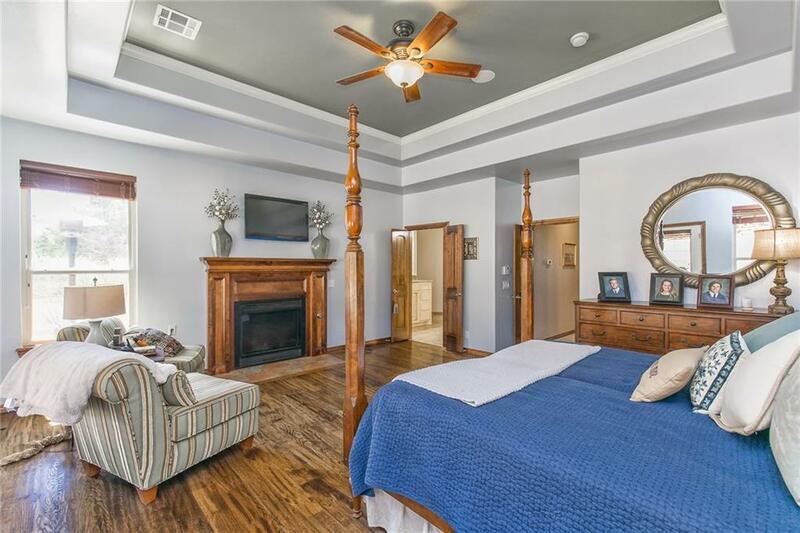 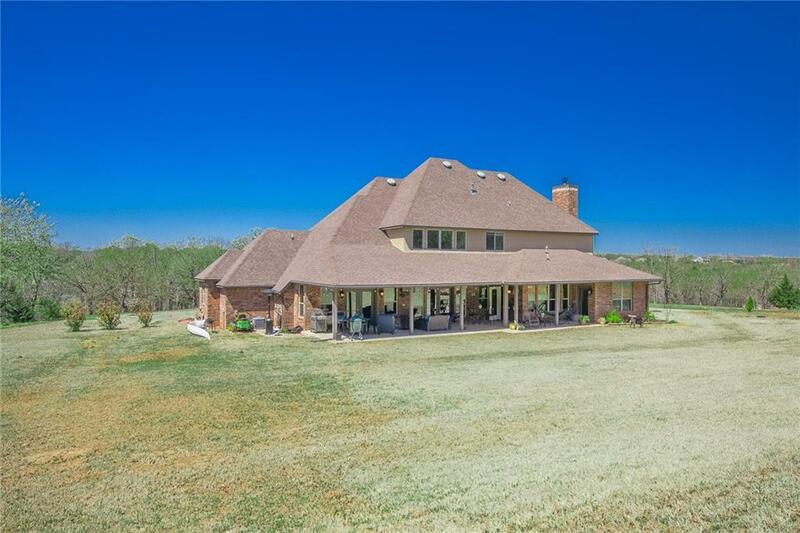 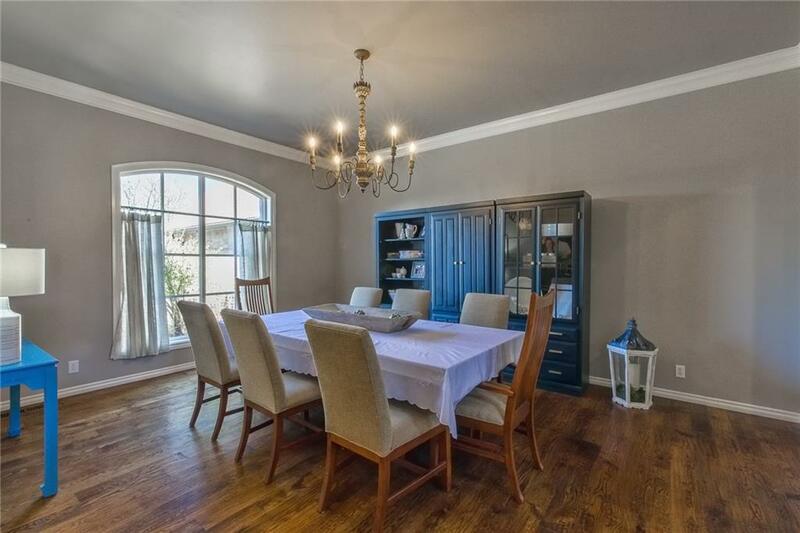 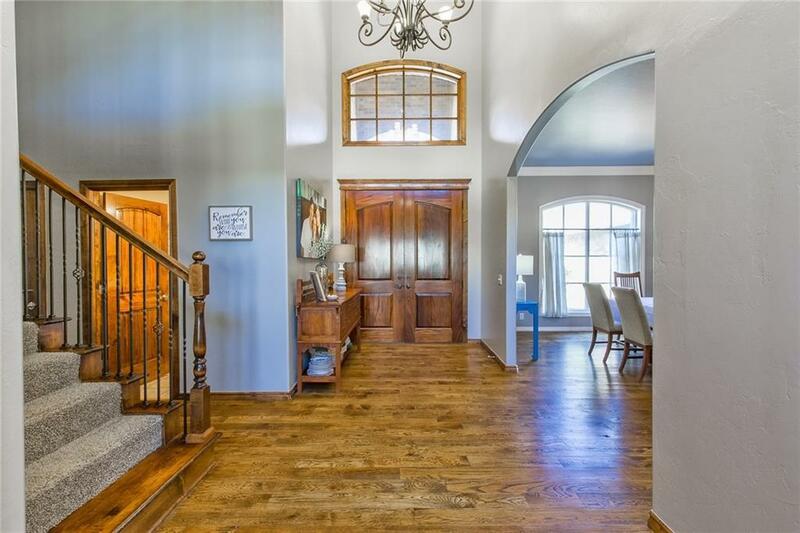 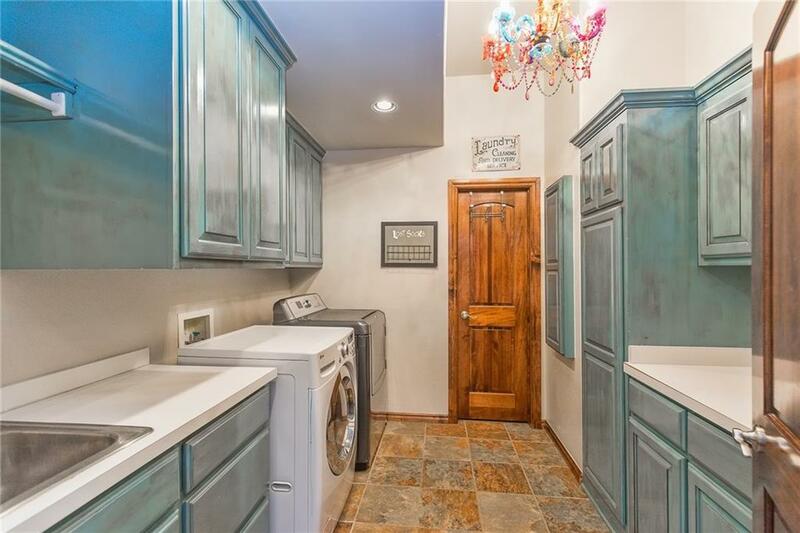 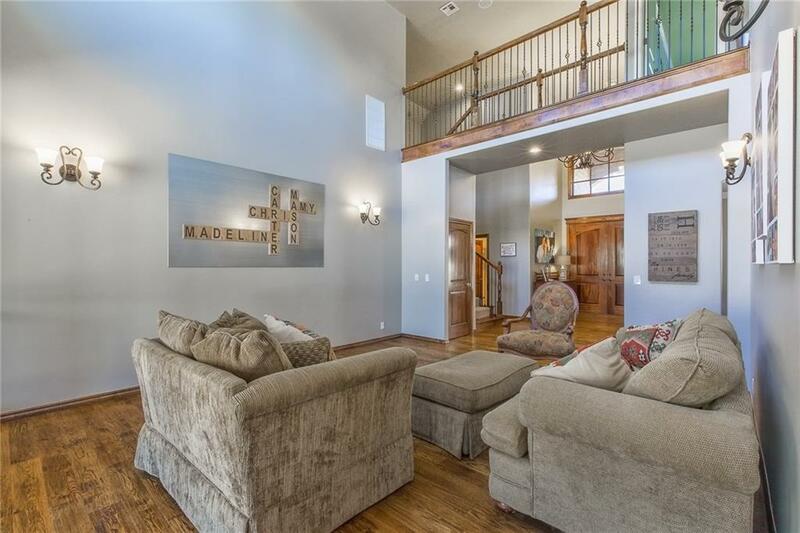 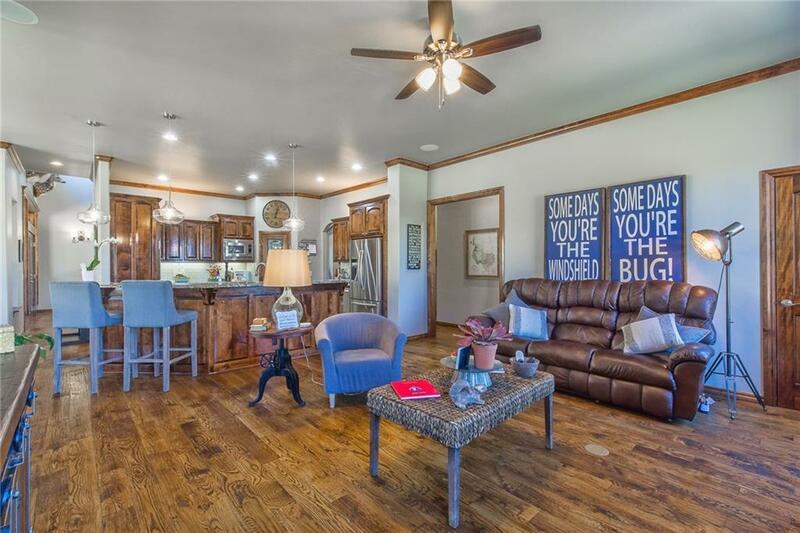 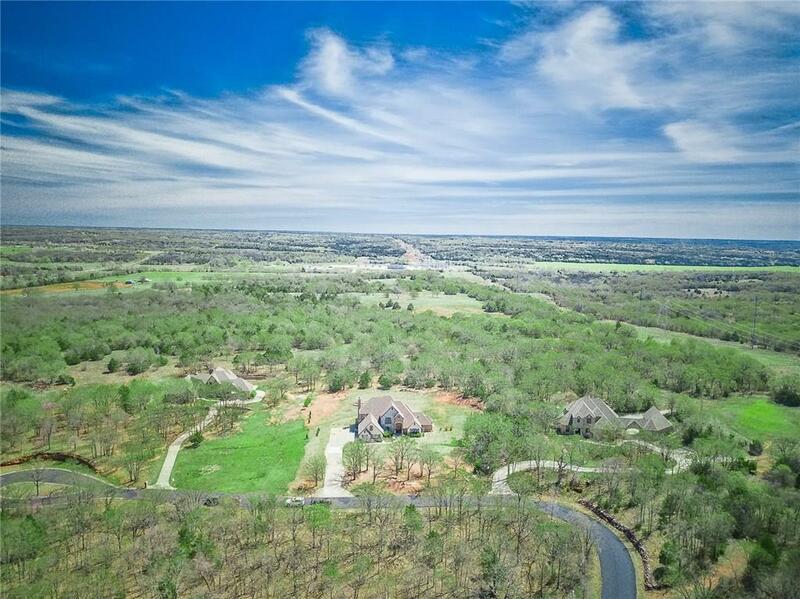 Peaceful and quiet, this home sits away from the hustle and bustle but still quick and easy access to OKC and Edmond. 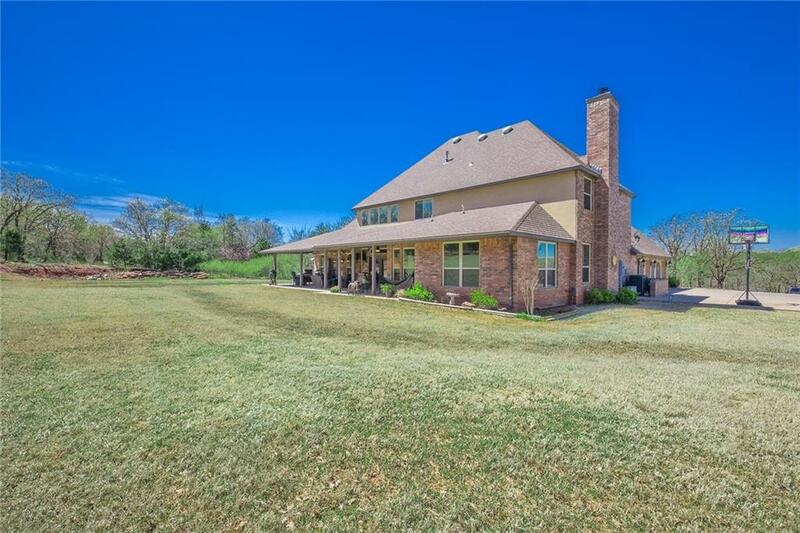 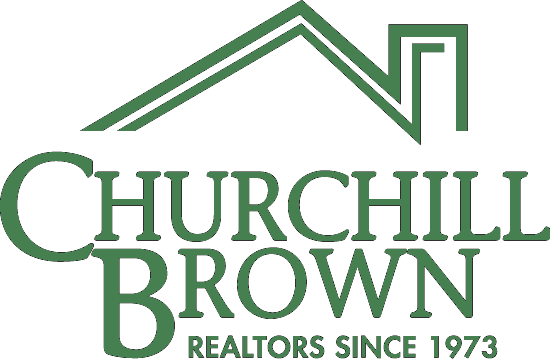 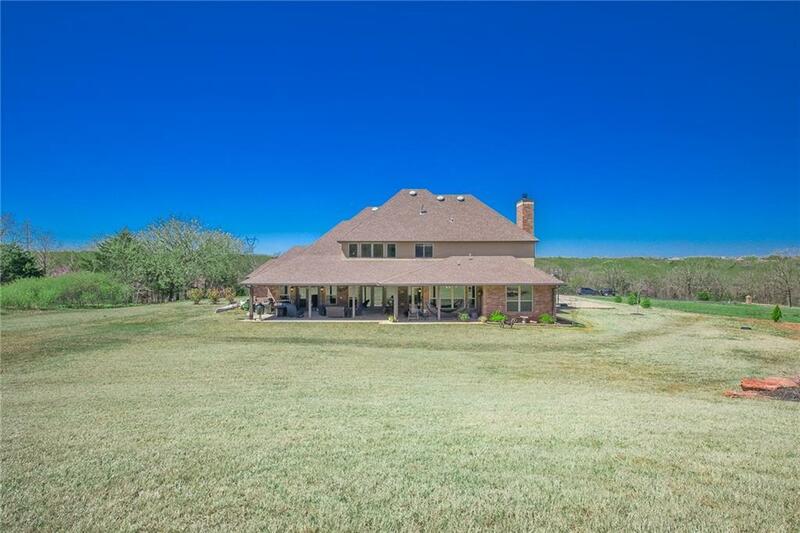 In a neighborhood of acreage homes, this property and community gives you lots of room to roam --- including a stocked pond. 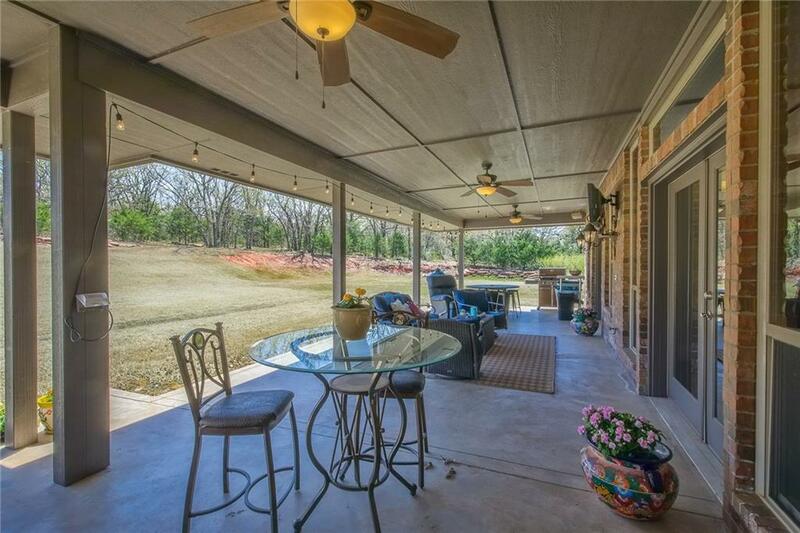 The ambling covered patio is a fantastic gathering place after a long day. 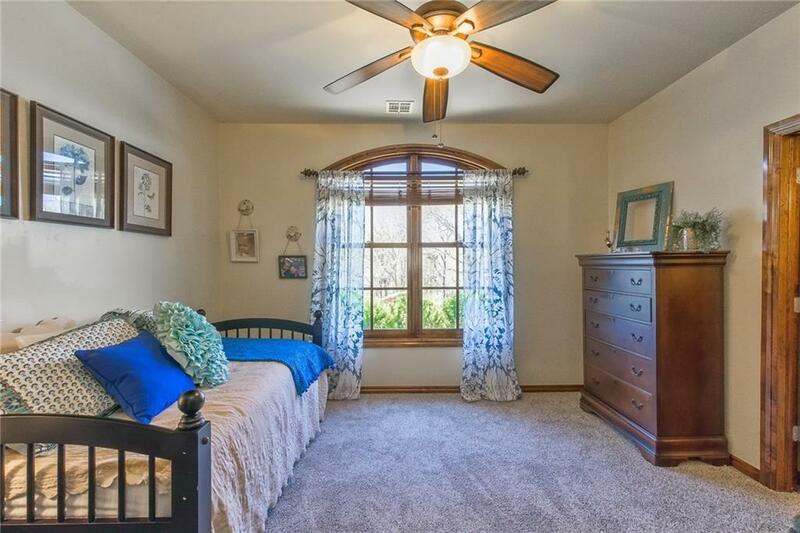 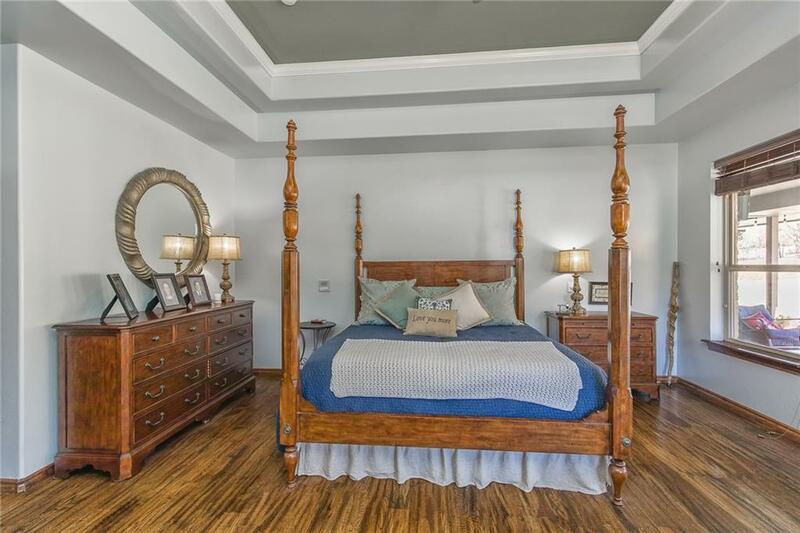 The home is in beautiful condition with 5 bedrooms. The large kitchen/living includes gas stove, stainless steel appliances, island, breakfast bar, eating space overlooking gorgeous view. 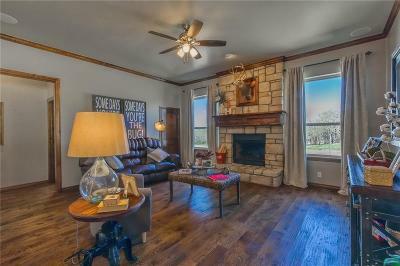 The large study/office is off of the living and on the back of the house, again, showcasing the views with large windows. 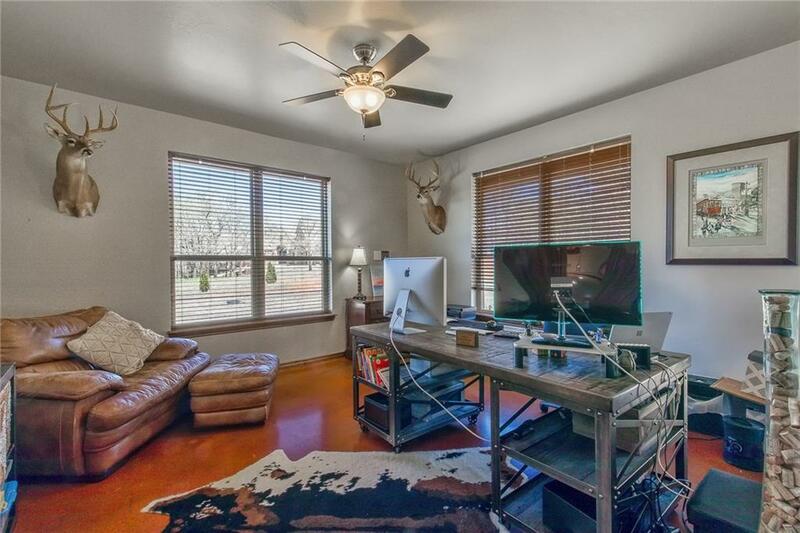 The 2nd living also enjoys the "out of this world" views and soaring ceilings. 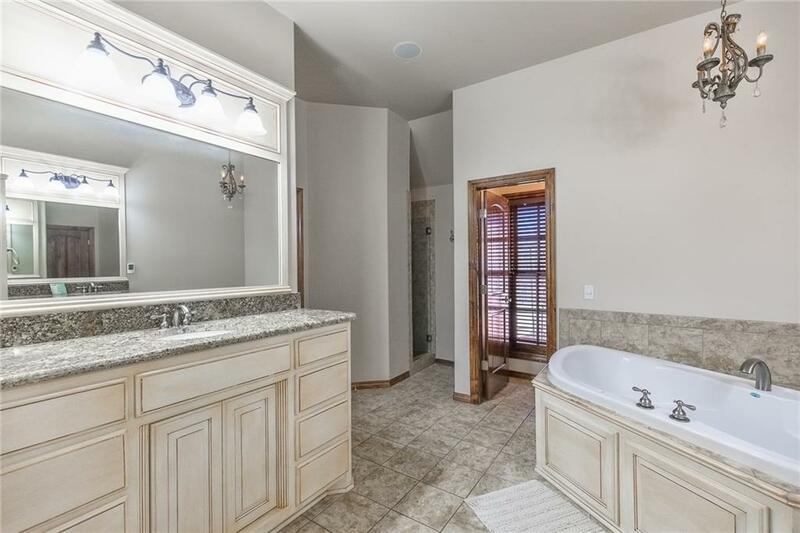 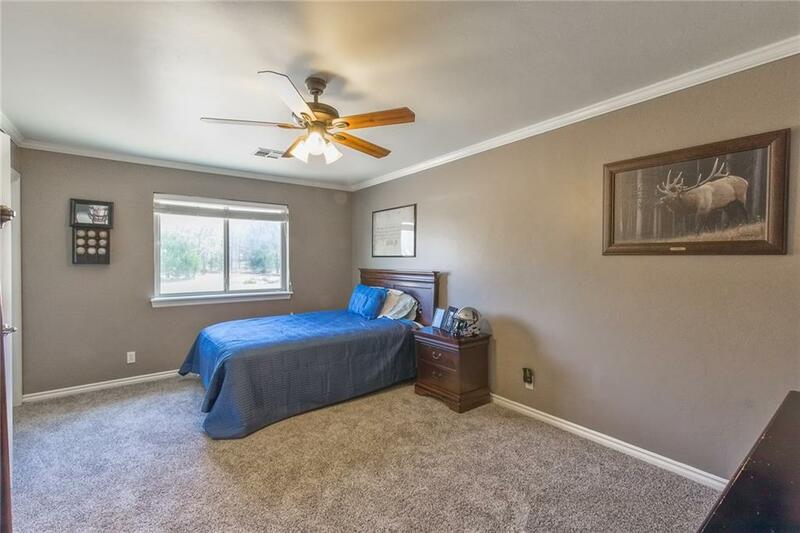 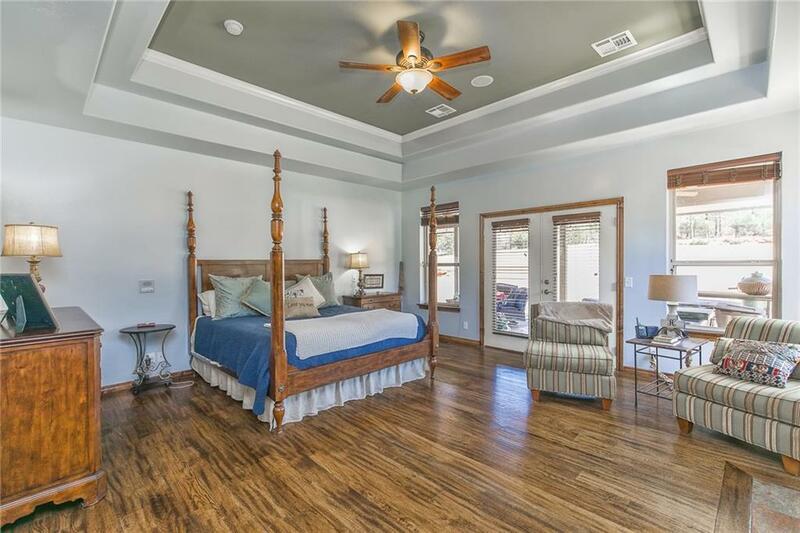 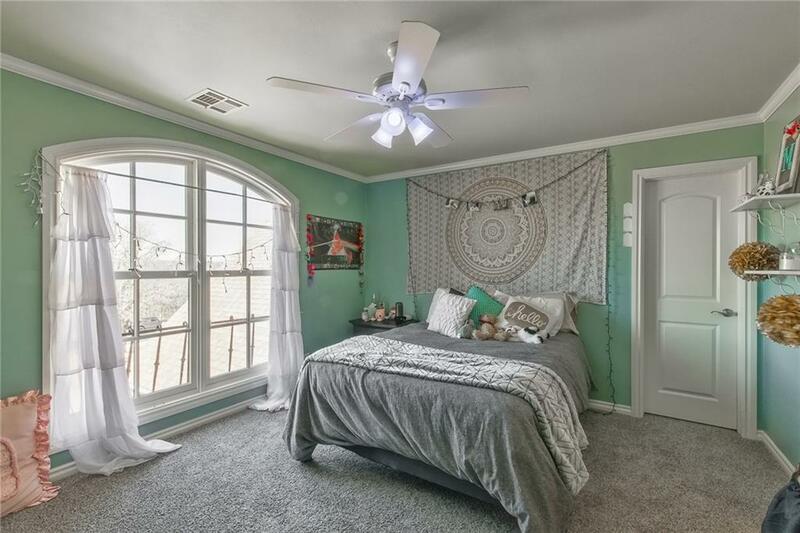 The master bedroom/bath is on the main floor with glass doors leading to the covered patio and more views! 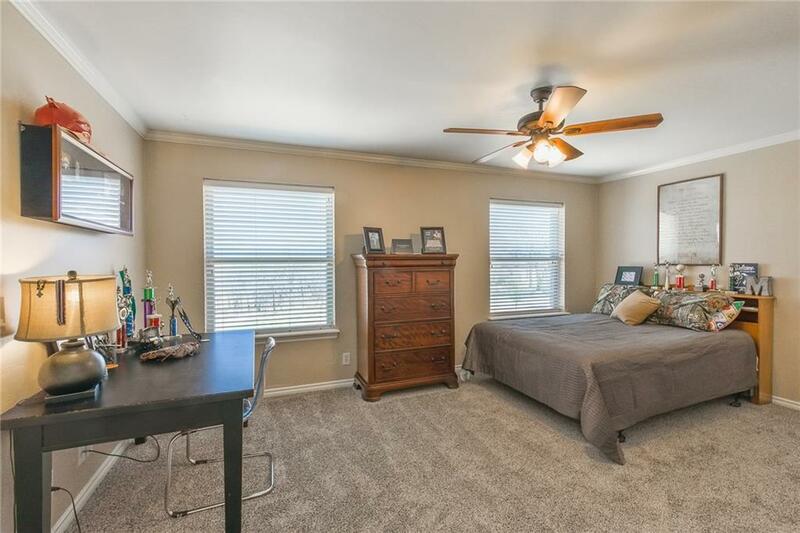 4 bedrooms (a private full bath for each bedroom), a game room + a 2nd office or homework room.